Truth be told, I can’t remember if I was referred to QUO by a friend or if I found information about it online. I stopped playing the trumpet in college when I decided to get braces (I was a stubborn fifth grader who knew they would get in the way of a new found passion). When I went back to school for my MA in music education I felt the need to start playing again. I somehow stumbled upon the group and found an outlet. However it happened, I’m glad to have found QUO. With visitors, I love walking around Central Park and then visiting Le Vain bakery on the Upper West Side. Amazing cookies. I love to pack a picnic and be out in nature in what usually feels like an urban jungle. With kids, I like going to the Museum of Natural History, or even MoMA. I find the art very accessible for a wide range of ages, and it makes for an interesting afternoon for the adults too. 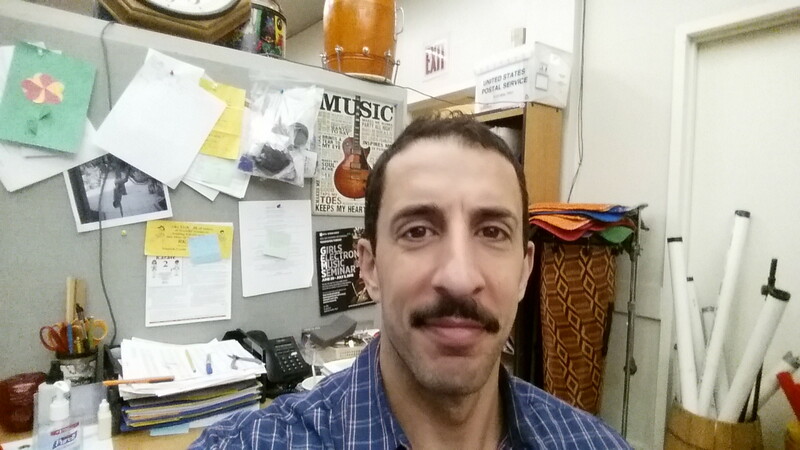 My fifth grade students might say the quarter rest, because it looks like my moustache. But if I had to pick for myself, I have no idea. I started playing trumpet in the fifth grade. We had people come to my elementary school to demonstrate the various band instruments. After I heard the trumpet, I knew I found my match. Question from Jay: What piece, either solo or for orchestra, have you always wanted to play and why? I’ve always wanted to tackle Flight of the Bumblebee, if for no other reason than for a technical workout.